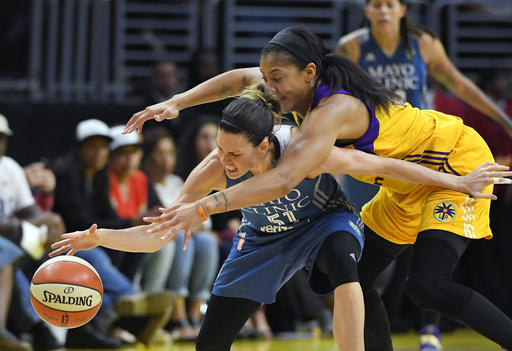 Thursday night in Minneapolis, the Los Angeles Sparks play the Minnesota Lynx in the fifth and deciding game of the WNBA Finals. This series is between the two best teams in the league—that's because for the first time a new playoff system did away with tradition and pretty much rewarded teams for being good. Mechelle Voepel, who covers the WNBA for ESPN, spoke to A Martinez from Minneapolis, where she had just stepped off the court after interviewing the Sparks lineup.